Reepham High School & College has put forward one of its teachers for an “Eco Hero” award. The nomination is part of the annual Norwich and Norfolk Eco Awards, which celebrate projects and schemes that demonstrate a commitment to an environmentally friendly ethos, while giving individuals and groups a platform to showcase their achievements. 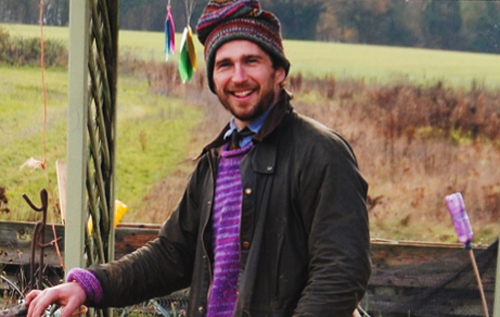 Matt Willer, who teaches GCSE and A Level History, launched the multi award-winning Allotment Project in 2015 on an abandoned corner of the school playing field, bringing together the school and local community to run it. Mr Willer helped create the allotment almost entirely with recycled items, collecting more than 150 fly-tipped tyres along with upcycled bathtubs and toilets to form growing spaces. He helps grow produce with the children for the school’s kitchen and the wider community, and has promoted other eco-improvements to the school such as more bins solely for plastic recycling. He has received visits from the Bishop of Norwich and the chairman of the Royal Horticultural Society and has even received a personal invitation to meet Prince Charles as a result of his environmental work. Mr Willer said he had never sought any praise for his involvement with the Allotment Project and the school’s recycling campaign. “I believe that if you go, as a primary goal, after these awards then, quite frankly, you are doing it for the wrong reason,” he commented. Mr Willer said he is now planning to replicate his experiences of the project in other, particularly challenging, schools in Norfolk, adding that to receive this award “would just be a real bonus for my future enthusiastic ambitious plans. The awards are hosted jointly by Norfolk County Council and Norwich City Council. Voting ends on Wednesday 4 March.